Bayne has been in business for more than 35 years and is proud of our reputation as a leader in the solid waste industry. 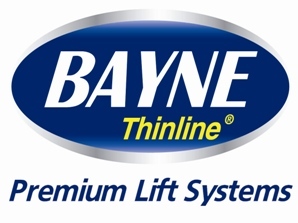 Specializing in the design, manufacturing and assembly of hydraulic cart lifters in our state-of-the-art facility allows Bayne total control over providing you, the customer, with a quality, dependable product. Call today and experience what the proven reliability of the Thinline Premium Lift System can do to fulfill your waste handling needs.